If you don’t have a life, you may have noticed that this blog has been sporadic and quiet of late. I would like to be able to report that it is for some noble cause (rescuing baby otters / trekking up Mt. Kilimanjaro / rescuing baby otters who have failed in their trek up Mt. Kilimanjaro), but the truth is that none of those things were the case. My name is Danny, and I am a victim of flat-packed Swedish furniture. If you have never been to the zip code known as Ikea, then you’ve come to the right place. My friends, I have seen the face of evil, and it comes in a heavy cardboard box. After two months of furniture assembly, I finally screwed the final part number 1300567 into drawer slide RL at about 1:15 this morning. Step one: discovery. (approximate time investment: 20 minutes) No one just stumbles upon Ikea. Nobody drives down a major interstate, sees a building slightly larger than the Pentagon, and thinks, “Hey! There’s furniture in there!” No, there is always a friend who exposes you to the seedy underbelly of do-it-yourself trundle beds. Much like incorrigible teenage thugs, these “friends” tell you of their great deals and huge savings and chic furniture. These same friends also go into the witness protection program and block your number in their cell phone as soon as they hear you’ve rented a U-Haul to go pick up said furniture. We were in Ikea for longer than we would have been on an international flight to Stockholm. We had kids ranging from sixteen years to 22 months old. And we involved a special friend just because we wanted her to see that the pastor and his family is perhaps unsaved. From the cafeteria, we wandered around 1.56 million acres of furniture showrooms. We stepped over the carcasses of shoppers who had gone before us and failed. We wrestled the aforementioned 22 month old in a corner hidden away behind futons, as we fruitlessly tried to get her to take a nap. And in one desperate moment, I considered writing my Social Security number and “tell my wife I love her” on my arm with a Sharpie, because I got separated from my family and the dehydration and delirium was setting in. We argued. We fought. We said hurtful things that we could never take back (and that was just me and the idiotic shopping cart with four independently pivoting wheels…my conversations with my bride were much worse). Step three: the assembly. (approximate time investment: 8 weeks) It’s best to assemble your furniture on a flat surface with plenty of workspace and no one around to hear you scream. I say this because any modicum of respect my family had for me after step two flew out the window once I realized that the assembly instructions include diagrams of pieces of wood with seven no eight no 36 pre-drilled holes and you had to make sure you were working on exactly the right piece of wood or else you would get to step 137 in the instructions and realize that in step one you were supposed to have a piece of wood with 36 pre-drilled holes but instead you picked up the piece of wood with 35 pre-drilled holes and now not only do you not know how to undo what you’ve done but also you’ve spent so much time on this piece of furniture up until this point that you no longer remember what you’re assembling. Step three involves lots of Very Bad Words** that are constantly present in your heart and your mind but also occasionally cross the threshold of your lips. Sometimes the Very Bad Words emerge because you realize that you have the furniture assembly skill of a toadstool, other times the Very Bad Words spill out because you made your ten year old balance a piece of wood over his head for far too long and his little arms gave out and when the piece of wood came crashing down the side of your head was in the path of part number 4566219 and that part gashed your skull and also caused tremendous amounts of damage to your Vlöörmokpt side table and you don’t know how to clamp pieces of broken fiberboard together and now your household furniture is going to look like you preserved it from your college dorm room. I harbored Very Bad Words about the furniture. I harbored Very Bad Words about Ikea. I harbored Very Bad Words about the continent of Europe and NATO treaties and the Swedish foreign exchange student that lived with my wife’s family when she was in tenth grade. Step five: repeat the process. (approximate time investment: unknown) I would like to say that we have learned our lesson. I would like to say that we will never ever ever purchase flat packed furniture again. I would like to say that I will take a longer amount of time to save money towards furniture or that I’ll take a side job or that I’ll sell a vital organ so that we can do whatever it takes to buy pre-assembled furniture and never have to see the oddly-shaped Ikea man in the assembly instructions again. But I know it just ain’t so. And then I’ll go ahead and sign up for marriage counseling, because you just never know. * only kidding. No false religions were harmed in the making of this blog post. ** “shucks.” “Darn.” “By golly.” What did you think I meant? Very, very funny Danny. As usual. I’m convinced that the universe is made up of left-brain, right-brain people. Those of us who choose technical careers generally can’t understand why it’s so difficult to insert tab A into slot B. You communication genius’ sometimes can’t understand why some of us can’t teach effectively or lead a small group. I think Scripture defines these differences as spiritual gifts. It takes both types to make a well-functioning body. You use your gifts very effectively. Sorry that you’ve also been *blessed* with the gift of frustration. Thanks Lee! It was great to see you – albeit across the room – the other day. Sorry we didn’t get a chance to speak. Well timed Danny. I spent six hours on Sunday assembling a dresser. I chose that path because the Ikea solution was 50$ less than the other. The crazy thing is that I constantly felt like completion was only a half- hour away. Near the end I felt like a lone survivor from a civil war battle limping 50 miles home. You captured that feeling so well. HILARIOUS!!!!! Don’t really know how else to describe this blog post. Made me giggle out loud. “Stepping over the carcasses of shoppers who had gone before and failed” Can’t wait to see you guys Saturday. Amen sir! We just bought a bunk bed from ikea a couple of weeks ago. It was smooth sailing until the last step, where I had to drill 3 holes to make everything work. The instructions said that all I would need is the included alan wrench and screw driver. It should also have included a drill, a cold beer, and a movie to watch in the background… OK 2 movies. We are missionaries in Russia. We bought all of our furniture during the one day we passed through Moscow (with all three children along). We waited several weeks to get it shipped out to us in Siberia. We were so excited to put all of our furniture together and to stop sleeping on the floor! It took us FOREVER! But, it was worth it. I laughed the whole way through your blog. SO FUNNY! Thanks for the laugh. So funny. My husband shared with me and I shared it with a friend. So true, and so funny. Yet, I can’t wait to go back! I haven’t laughed that hard in a LONG time. Tears. That was awesome. My husband and I , who have both put together a number of Ikea pieces of furniture, just were extremely entertained by this blog. The last was a set of office drawers which we realized in the final assembling that we had put the screws in the first drawer backwards. We decided to live with it. I am sure that we will get sucked into assembling furniture from there yet again. Really enjooying your blog. I’ve never actually set foot in IKEA, but did purchase baby furniture for my new grandson and sent my two adult sons to procure the items for me. They returned, hours later, frustrated and angry and saying many colorful things about the experience! Your blog post made me laugh out loud! I shall be sharing it with them as they will most certainly understand your pain! 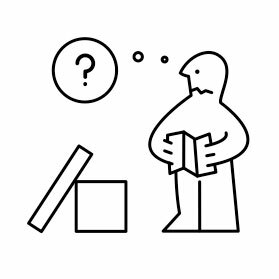 My husband no longer accompanies me to Ikea if he can avoid it and he prefers not to help with the assembly. “You buy it, you build it” prevails! Very funny post, I have experienced those same feelings of frustration at times! I keep going back as that darn Ikea catalog and the showroom make everything look so organized and clever! !